Neanderthals were highly intelligent, capable hunters. 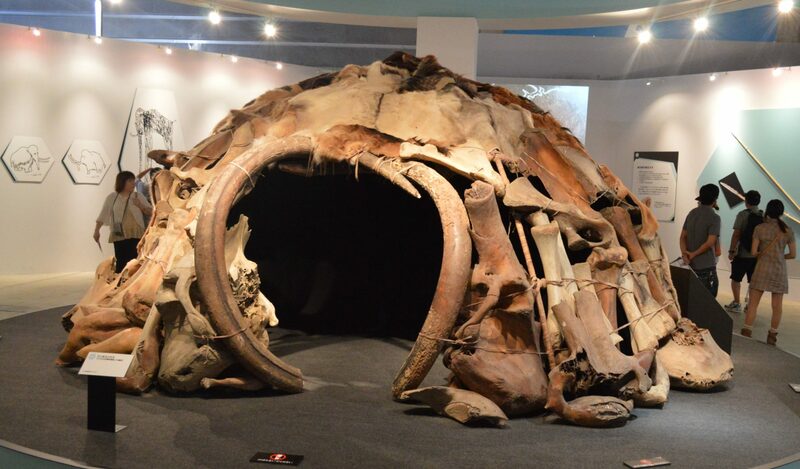 In fact, they were able to kill so many mammoths they could make their houses out of the bones1. However, it turns out not all Neanderthals fancied such a grizzly homelife. A newly discovered group of Spanish Neanderthals appear to have been completely vegetarian2. These veggie Neanderthals made their home in El Sidrón Cave, in sunny Northern Spain. This is a massive complex, stretching almost 4 km into the earth. Appropriately, it contains a massive collection of Neanderthal bones, with at least 13 individuals (made up of 4,000 bone fragments) being found in the cave3. These Neanderthals lived in El Sidrón ~50,000 years ago3. For context, that puts them a few thousand years before humans arrived in Europe4. They had the place to themselves, probably not encountering many other Neanderthal groups either<. That sort of loneliness can drive you to do crazy things, like becoming vegetarian. The evidence they made such a mad transition comes from their teeth. Or, more specifically, the remains of the plaque that built up on their teeth. These still preserve some fragments of the food they ate during life, although they’re often too small and mangled to be identified. But a group of researchers had the great idea of looking at the DNA in those fragments instead. This was a lot easier to identify, allowing them to pinpoint what the Neanderthals had been eating2. Specifically, they identified the DNA of mushrooms, pine nuts, poplar, moss, and mould. To show this wasn’t a fluke, this same approach was also performed on Belgian Neanderthals from Spy Cave. Whilst they also seem to have eaten mushrooms, clear evidence of meat in their diet was also found. In particular, they seem to have been big fans of woolly rhinos and sheep2. One group of Spanish Neanderthals broke with tradition and shunned meat. So what? Humans do this all the time, as my vegetarian sister often reminds me. Well, Neanderthals were actually pretty badass, as I love to remind people. Like in the opening of this post, when I pointed out how they built their houses out of the bones of one of the toughest mammals to ever walk the earth. So how come they went extinct and we survived? For a while, diet was a popular explanation for their demise. Even I thought it sounded plausible. Exactly how the argument went varied, but the gist of it was they needed a lot of meat. Either because they weren’t smart enough to eat plants, or because their big muscles required that bonus protein. In recent years this idea has fallen out of favour since it turns out Neanderthals did eat plants. But it hasn’t gone away entirely, as some continue to argue Neanderthals needed at least some meat in their diet. And they just couldn’t compete with humans for it. The Neanderthals from El Sidrón show this to be flawed. 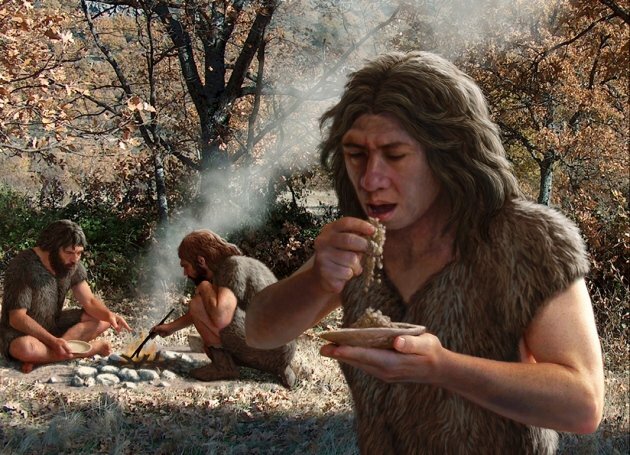 Neanderthals were completely capable of surviving without meat, at least in some regions. 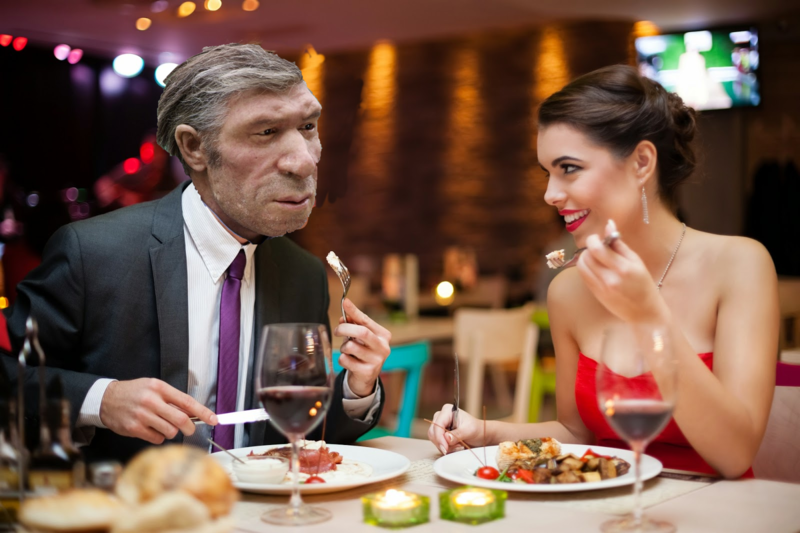 It should be the final nail in the coffin for dietary theories about Neanderthal extinction. So really, the exciting thing about this story isn’t vegetarian Neanderthals, but flexible Neanderthals. They were able to adapt and alter their diet to fit the situation. So to really hammer this home, I thought I’d end by highlighting a few other examples of weird stuff Neanderthals thought to eat. They really were the first gastronauts. Rotten food is essentially predigested, making it easier to eat, and the bacteria in it often produce vitamins. So maybe Neanderthals were fans of stinky fish. 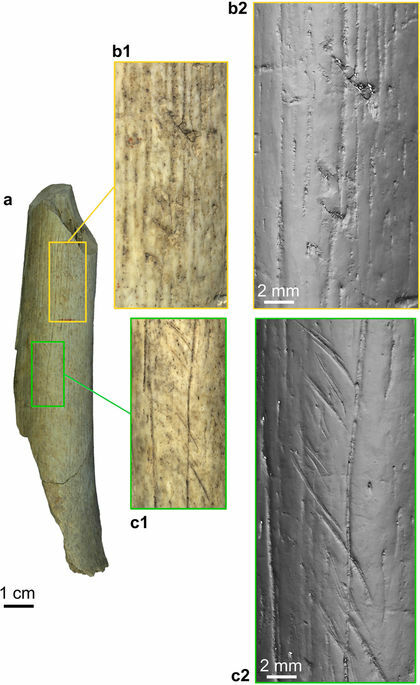 As this research into El Sidron found, these Neanderthals ate mould. But things begin to get very interesting when you consider the type of mould they were eating: Penicillum. That’s right, they may well have been self medicating! Each other! 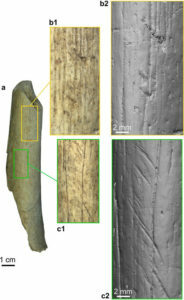 Cannibalism was rife during the time of Neanderthals, with dozens of individuals from across Europe showing the tell-tale butchery marks of being consumed by another person. But don’t climb too high on your horse. Early modern humans were also big fans of that forbidden fruit. Demay, L., Péan, S. and Patou-Mathis, M., 2012. 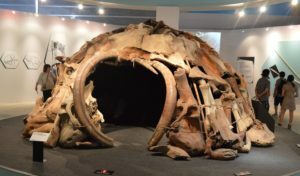 Mammoths used as food and building resources by Neanderthals: Zooarchaeological study applied to layer 4, Molodova I (Ukraine). Quaternary International, 276, pp.212-226. Weyrich, L.S., Duchene, S., Soubrier, J., Arriola, L., Llamas, B., Breen, J., Morris, A.G., Alt, K.W., Caramelli, D., Dresely, V. and Farrell, M., 2017. Neanderthal behaviour, diet, and disease inferred from ancient DNA in dental calculus. Nature, 544(7650), pp.357-361. Rosas, A., Ríos, L., Estalrrich, A., Liversidge, H., García-Tabernero, A., Huguet, R., Cardoso, H., Bastir, M., Lalueza-Fox, C., de la Rasilla, M. and Dean, C., 2017. The growth pattern of Neandertals, reconstructed from a juvenile skeleton from El Sidrón (Spain). Science, 357(6357), pp.1282-1287. Benazzi, S., Douka, K., Fornai, C., Bauer, C.C., Kullmer, O., Svoboda, J., Pap, I., Mallegni, F., Bayle, P., Coquerelle, M. and Condemi, S., 2011. Early dispersal of modern humans in Europe and implications for Neanderthal behaviour. Nature, 479(7374), p.525.